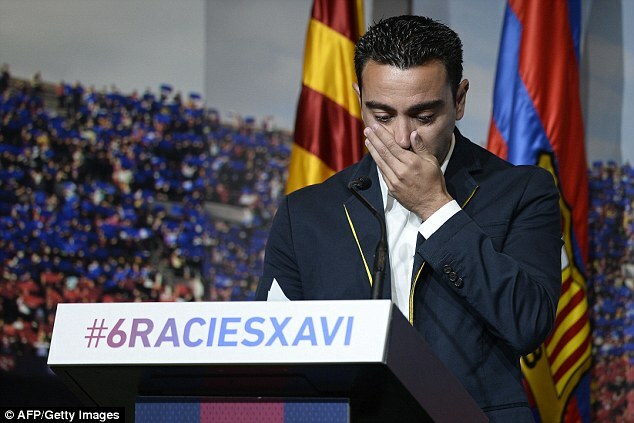 An emotional Xavi was reduced to tears on stage at his farewell event ahead of his final appearance for Barcelona after Andres Iniesta paid tribute to his 'captain, team-mate and friend'. The departing-midfielder announced last month he will join Qatari side Al-Sadd at the end of the season, ending his 24-year run with the Catalan giants. 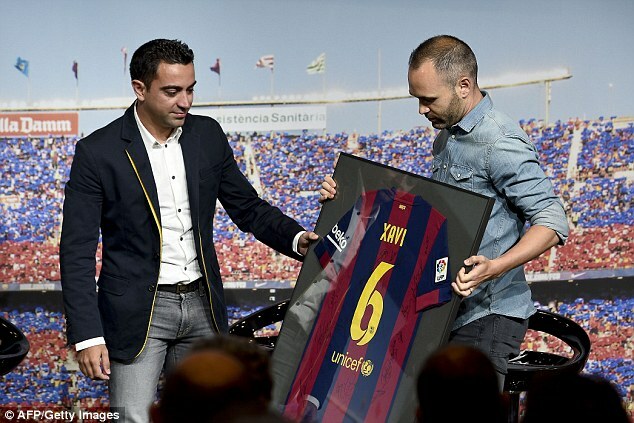 Before Xavi plays in Saturday's Champions League final, Iniesta, who has been in Barcelona's first team with his compatriot since 2002, paid tribute to the club legend. 'Captain, team-mate and friend. We can't imagine the first work out of next season without you. It's been a privilege to play alongside you,' he said. 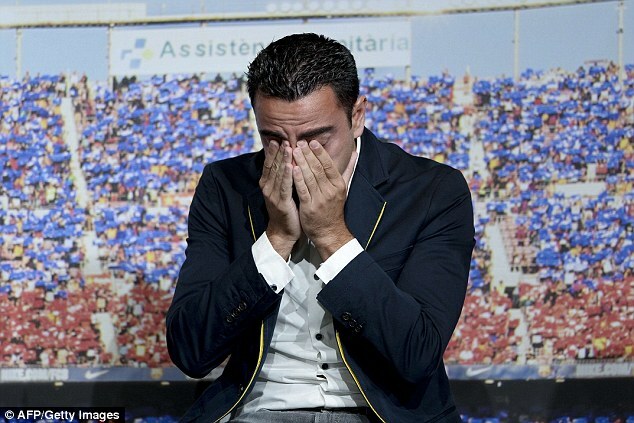 'Thanks, Xavi, for always being an example, for always putting the group before yourself. Thanks for all your advice. 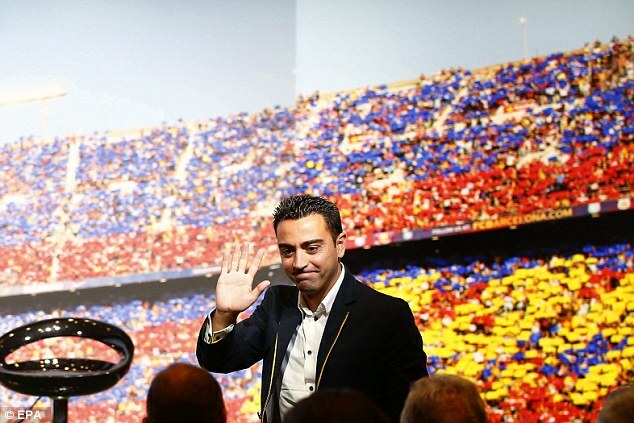 Xavi is the longest serving and most decorated Barca player, having joined at the age of 11, and he eventually took to the stage to pay tribute to the club. 'I want to thank every member and every fan, I'm very grateful,' he said at the event. 'The trophies are nothing compared to the laughs I had here and the friends I'm leaving behind. 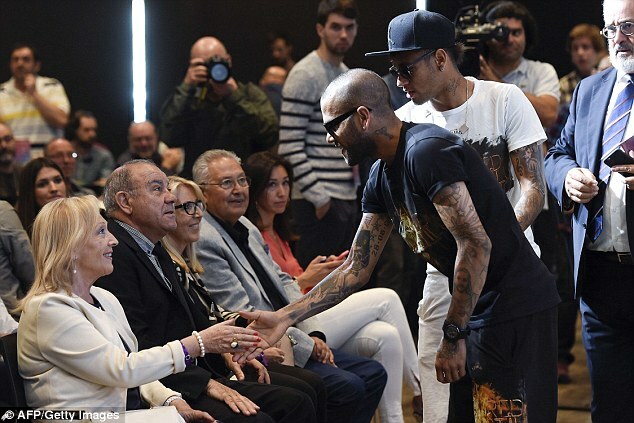 'Tito has been my football father and I will always carry him in my heart,' he said. 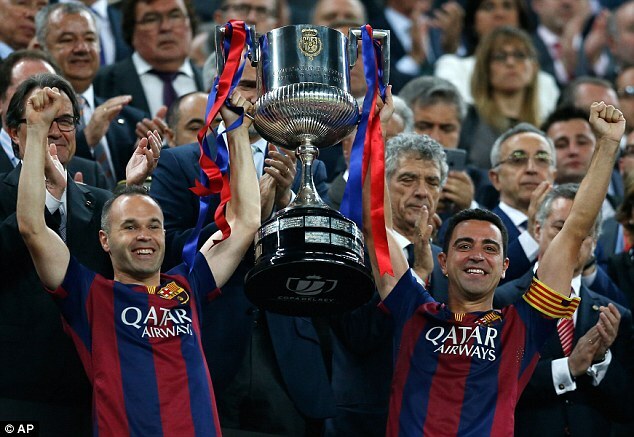 Xavi, who has helped Barca secure the La Liga and Copa del Rey this season, also revealed he hopes to return to the club in the future.